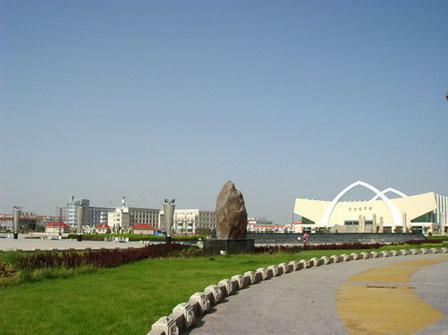 Wuzhong is a prefectural-level city situated in the middle of Ningxia Hui Autonomous Region, neighboring Yinchuan in the north. It borders Shaanxi in the east and shares boundaries with Inner Mongolia and Gansu. 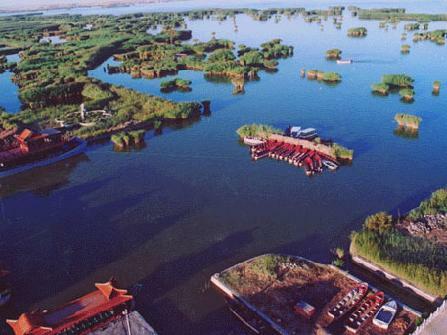 Wuzhong covers an area of 20,400 square kilometers, 31% of the total area of Ningxia. The city is one of the main residential regions for ethnic Hui people. With about 1.3 million residents, the city has 656,000 Hui. Human relics from 30,000 years ago have been discovered here, showing pastoral-nomad tribes inhabited the region in ancient times. During the Qin Dynasty, the court began irrigation projects. By the Tang Dynasty (618-907), it had become a flourishing land. The terrain of Wuzhong generally declines from south to north. Its northern area belongs to the Yinchuan Plain, while the south has a distribution of hills and mountains. Wuzhong has a temperate semi-dry continental climate. It has four distinct seasons, but the summer is not hot. Being one of the most abundantly sunny cities in China, Wuzhong has rich agricultural land favorable for farming. Generally, the temperature varies greatly from day to night.. 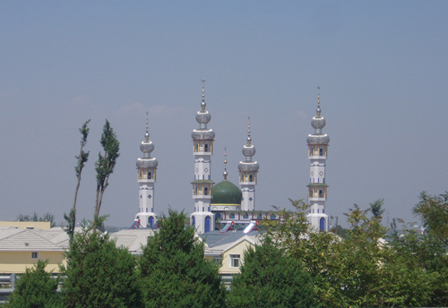 The city's attractions include 108 Lamaist Stupas and Tongxin Great Mosque. May to October is the golden season with comfortable weather and picturesque scenery. Special local products include Yellow River carp, pearl rice, apple, melon seed, and Tan Sheep skin.